As readers of Was Abderraouf Jdey the Anthrax Mailer? will appreciate, more likely than not Canadian al Qaeda operative Jdey was indeed the person who mailed the anthrax letters of 2001. But we must ask: How did al Qaeda gain access to the anthrax? According to attorney Ross Getman, an expert on al Qaeda’s biowarfare program, it had opportunities at several university laboratories, most prominently George Mason University. The project was using an avirulent Delta strain of anthrax from NIH. However, Bailey may have been the “former deputy commander” who was one of FBI’s ultimate four main suspects–presumably meaning that he had obtained a sample of virulent anthrax from Bruce Ivins, whose former boss he was. DARPA would have wished to devise countermeasures to the alarming technological innovations of the Soviet biowarfare program learned from Ken Alibek (whose office was next to Bailey’s at GMU), former deputy director of the program, and other defectors (this explanation appears far more likely than that the U.S. Government itself was running an offensive bioweapons program; biowarfare is antithetical to U.S. interests, whereas it was a major component of Soviet weapons development and strategy). One of these innovations appears to have been a special formulation of anthrax. To devise countermeasures, DARPA would have wanted to prepare several versions of this anthrax to identify through comparison testing the differences in dispersion and lethality caused by its special properties. FBI’s theory of the case treats the problem of preparing the anthrax as one of merely purifying and drying spores. But the anthrax in the senators’ letters in addition possessed remarkable special characteristics that caused individual particles/spores to wave upward spontaneously. It had a high silicon content–reportedly 1.45% in the Leahy letter and possibly higher in the Daschle one, well above natural background levels. And the crude anthrax in the letter to the New York Post had a 10% silicon content, hard to interpret as anything but an addition. In its February 15, 2011 report, the National Academy of Sciences identified a bimodal pattern in the letters to the senators in which exceedingly tiny particles 1.5 microns in diameter on average were accompanied by clumps larger than 20 microns in diameter. The tiny particles were dramatically smaller than known U.S. and Soviet anthrax; and the particles–which appear to be individual spores–were of a very uniform size. NAS argues that silicon was not added to the senators’ letters because the tiny particles would spontaneously waft upward individually on their own. But it does not take into account that silicon could have been added to induce the larger clumps to break apart and disperse also, or that the dispersal of the tiny particles would have been enhanced by addition of the silicon, or that the preparer made small mistakes following instructions. It does, however, recognize that the preparer could have added silicon not knowing that it was not needed. While the silicon collected in the spore coat inside the exosporium, the tiny particles/spores resisted clumping, suggesting the possibility that rigidity caused by the silicon in the coat, changes in electrical or chemical properties caused by the uptake of the silicon, or a hard-to-detect silicon monolayer on the exosporium (microencapsulation) had influenced the interaction of the spores. The NAS report assumes that only silicon on the exosporium would act as a dispersant, but this has not been tested or proven. It is not clear whether the silicon collected equally in the tiny and the larger particles; whether the tiny particles possessed other characteristics distinguishing them from the larger particles; whether all spores–individual or clumped–were of the same size; or whether the bimodal distribution represented a mixture of spores from two different sources. How might Ivins have gained access to the powdered anthrax subsequently used in the letters? DARPA may have authorized him to prepare dried samples at a facility like Southern Research Institute (SRI) in Frederick that presumably had considerably more appropriate equipment than was available at USAMRIID as well as a Biological Safety Level 3 facility. Patricia F. Fellows, Ivins’s former close collaborator at USAMRIID who later moved to SRI, appears to have been the only one of his close associates who thought that he was the Mailer–perhaps because she knew that he had had access at SRI to the anthrax that showed up in the letters. David Franz, commander of USAMRIID from 1995 to 1998, then retired and became head of the Chemical and Biological Defense Division of SRI until around 2003. Neither Franz nor the current top management of SRI responds to inquiries about pre-9/11 work on virulent anthrax at SRI. SRI was also subcontractor with Hadron/Advanced Biosystems, the partner with GMU on the DARPA anthrax contract; SRI’s role was to perform testing. Therefore, SRI emerges as the most likely place for the anthrax in the letters to the senators to have been prepared; and propinquity, seniority, expertise, custodianship of flask RMR-1029, and working relationship with DARPA would make Ivins the most likely preparer. 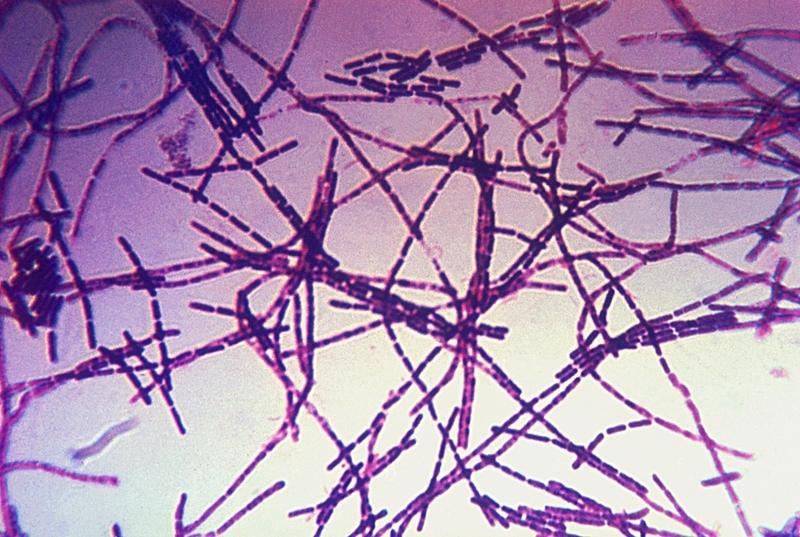 Alternatively, and less likely, DARPA may have arranged for the anthrax to be prepared elsewhere, then provided it to SRI, where Ivins might have been involved in experiments. Either way, Ivins could have brought samples back to his lab at USAMRIID for further investigation. This would explain why, subsequent to the anthrax mailings, he twice swabbed down his lab without authorization. He could also have provided samples, perhaps the same ones, to Bailey with or without DARPA’s authorization. At GMU, Bailey has remained silent and refers questioners to a university lawyer. The University has “recommended” to noted GMU microbiologist Sergei Popov that he refrain from public discussion of the anthrax case. Bailey filed a patent application in March, 2001 along with co-principal investigator on the DARPA project Ken Alibek on a method for treating biological samples such as anthrax spores. This method can be characterized as a primarily Soviet technique for preparing cells, with wide commercial potential. It includes repeated references to silica and appears to involve microencapsulation with an ultrathin layer of silica. Amid lax laboratory security, Al-Timimi seems to have stolen from an unlocked refrigerator small amounts of anthrax of various kinds made from RMR-1029. Al-Timimi then provided the anthrax to Mohamed Atta. An important implication of this is that al Qaeda in Afghanistan or elsewhere had nothing to do with the anthrax mailings. The attacks were a 100% North American al Qaeda operation. Nor did al Qaeda require any sophistication to prepare the anthrax; all Al-Timimi had to know was that these vials contained virulent anthrax. The transmission route was simple and rather short: Ivins to Bailey to Al-Timimi to Atta to Jdey. Moreover, it seems quite likely that Jdey did not inform his colleagues in Canada that he had obtained or used the anthrax, so once he committed suicide no one would know that he was the Mailer. 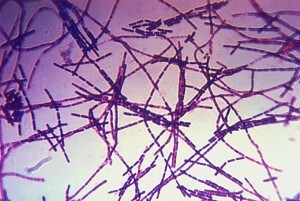 the anthrax mailings–carried out for al Qaeda by a Canadian citizen of Tunisian origin based in Montreal and using anthrax prepared for DARPA on a Soviet model and prepared or handled by a key U.S. Army scientist, then stolen by an American al Qaeda sympathizer–were an inextricable mixture of foreign and domestic elements. See also FBI v. Bruce Ivins: The Missing Pieces.